Before the 1970s, Aunt Jemima’s pancake box carried the stereotypical image of a black cook, illustrating how the American food industry undervalued southern cooks and cooking. Today, a new wave of African American chefs safeguards southern foodways. As they reintroduce recipes in the nation’s top kitchens, they humanize how the public sees black chefs. Leah Chase has brought New Orleans Creole cooking to international attention. She is the chief chef at Dooky Chase’s, a New Orleans landmark. Civil rights organizers met at the restaurant in the 1950s to plan their course of action. The Queen of Creole cuisine, Leah Chase, found her place in the kitchen of Dooky Chase’s, her family’s restaurant during the 1950s. The menu shows the restaurant’s recent offerings. 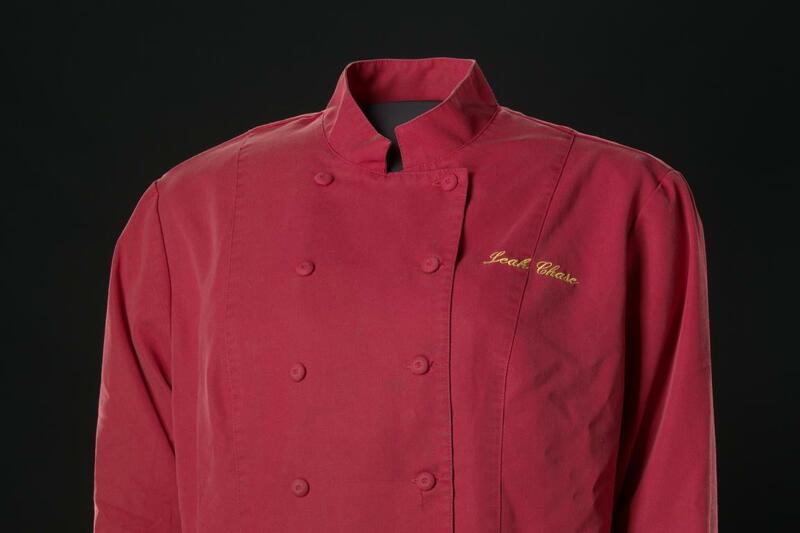 Instead of white, Chase chose red and pink for her chef’s jacket. Patrick Clark (1955-1998) turned down a chance to become executive chef at the White House. Trained in New York and abroad, he ruled the kitchens at Tavern on the Green in New York City and other renowned restaurants. His specialties, French and new American cooking, are a reminder that black chefs don’t just cook soul food. Born on her grandfather’s farm, Edna Lewis (1916-2006) grew up cooking without modern conveniences. Lewis’s The Taste of Country Cooking (1976) became a classic, with chapters on fresh local foods predating the “farm to table” movement. Here she stands in the dining room at the Gage and Tollner restaurant in New York, 1989. For decades, chefs, food critics, and writers neglected southern cooking. Edna Lewis's books, including In Pursuit of Flavor, drew attention to southern foodways in the 1970s and 1980s. Known as the Dean of Southern Cuisine, chef and educator Joe Randall is a founder of the Southern Foodways Alliance. An executive chef at over a dozen restaurants, Randall has also held faculty positions at four culinary schools and today serves up lesson ins southern coastal cuisine at his cooking school in Savannah, Georgia. Cookbooks such as A Taste of Southern Heritage: The New African American Cuisine allow chefs to share their contributions to American cuisine. The books are as important as the cookware and kitchen tools the chefs use.